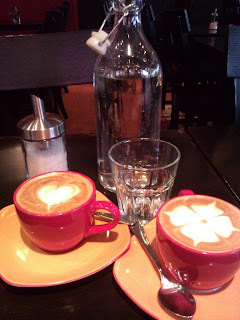 Expatriate in KL: Coffee and Pancakes @ Antipodean: A Must Try at Bangsar! Coffee and Pancakes @ Antipodean: A Must Try at Bangsar! It has been more than a month since I have been attending my French lessons at Alliance Francaise (satellite office in Bangsar). Since my classes start at 9am, hubby and myself always take some time (alone, without baby) to have our breakfast. There was a new coffee place opened months ago and I have seen so many good reviews about it... and I have been a loyal customer since the day I first visited. The place is called ANTIPODEAN. It is a cafe opened by an expatriate. I saw some articles on the Expat magazine, and decided to search and see what the review are. Well, here is my own subjective review based on the several visits we have made. The coffee is really good -- the taste is authentic, rich and well prepared. They design it well and I can see they take pride in the coffee they serve. I believe the owner sources it from Indonesia and they even sell the beans at their shop. Hubby and myself have been ordering their FLAT WHITE -- which taste really good. The plus side, they serve water (one gets thirsty if you drink too much coffee, and it is always good to have water afterwards to keep hydrated). They offer the water in a nice bottle, which also means you as a customer don't feel too "bothering" and keep asking for water. You can drink as much as you want. 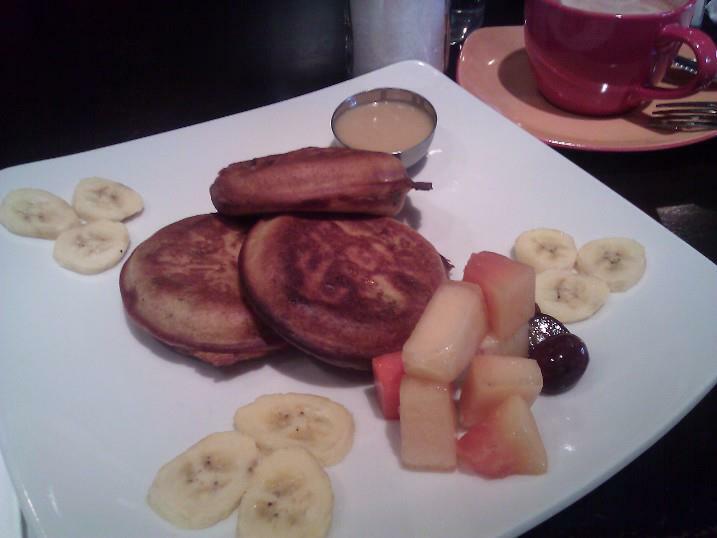 The highlight for me is their BANANA PANCAKES with Butterscotch sauce. I could not help myself but to order that every single time we go to Antipodean. Their butterscotch sauce goes so well with the pancake... most often the sauce they serve is not enough... I would always request for 2 sauces (and they were kind enough to oblige). Hubby was more adventurous and tried several breakfast dishes. They serve pork sausages & bacon (which is a highlight for expats and Malaysian Chinese who love their porky stuff). 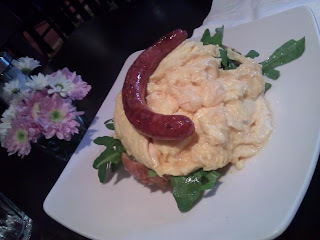 Hubby tried the croissant with scrambled eggs, at one point he also tried their big breakfast. To me it was all "okay" and tasty -- simply because I was all too satisfied with my pancakes too even bother with other stuff. I always said I would go back to try their lunch menu but never had the chance yet. 2. The toilet - it is nicely designed and clean. However, twice I experienced that the "flushing" mechanism was not working or the toilet was clogged. Hope they fix that because that was such a let-down for me especially after a good experience with their meals. 3. Service - their waitresses are friendly. However there were few new ones and I guess they were under training... so hopefully the newbies have settled down well already by now. Anyway, I hope you guys enjoy your Antipodean experience when you try it out.